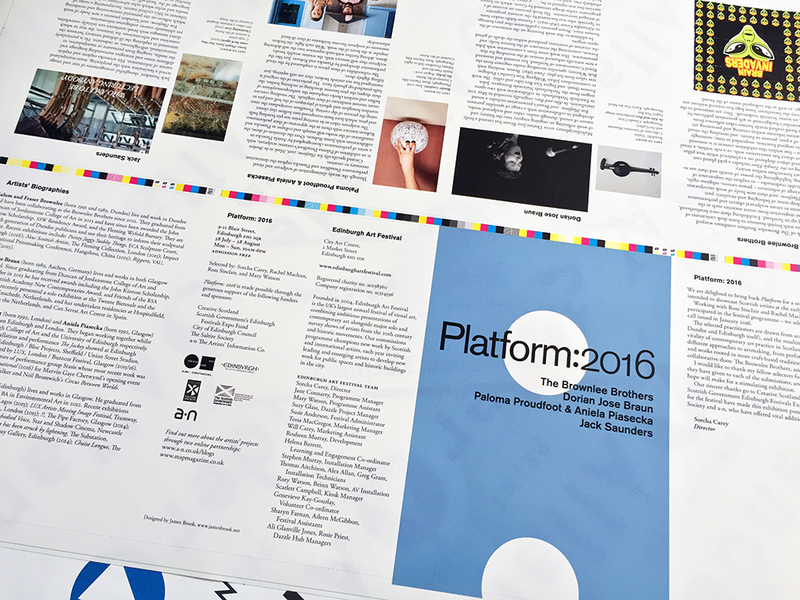 This is a proof of the leaflet that I designed for Platform: 2016, an Edinburgh Art Festival initiative dedicated to providing greater opportunities for artists at the early stages of their career. The artists – The Brownlee Brothers, Dorian Jose Braun, Paloma Proudfoot & Aniela Piasecka, and Jack Saunders – were selected from an open call by artists Ross Sinclair and Rachel Maclean working with Edinburgh Art Festival Director Sorcha Carey and Mary Watson, Programme Assistant. 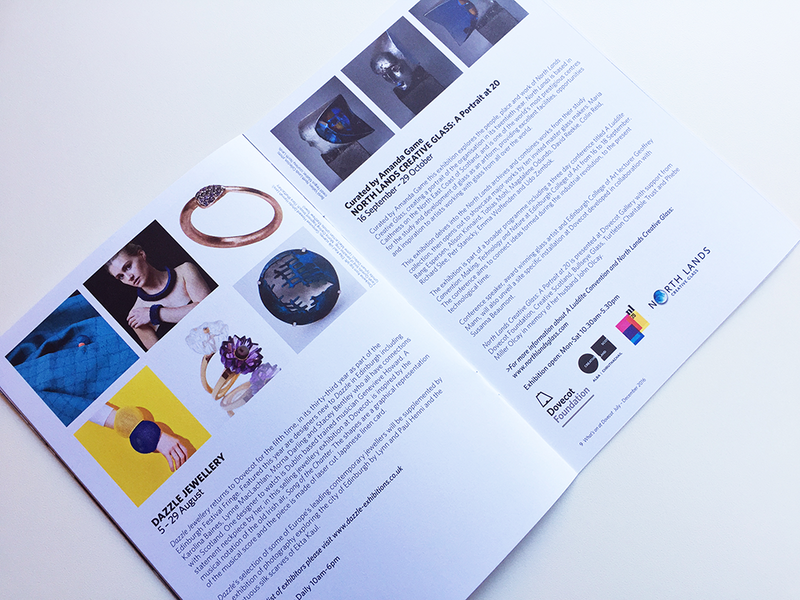 This is the second year that I have designed the leaflet, using the logo and identity that I developed in 2015. 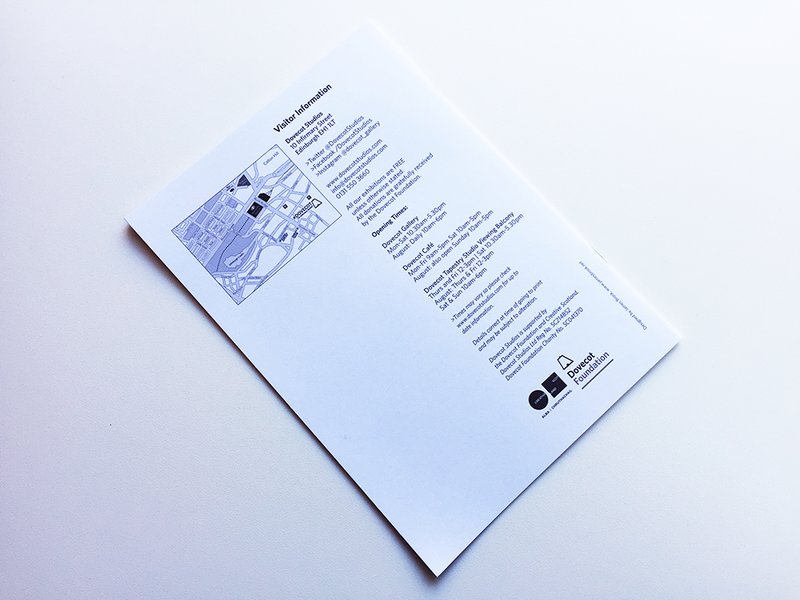 This iteration has a different arrangement of the cover elements and introduces a colour, selected from a range of similar colours, that may appear on future iterations of the leaflet. 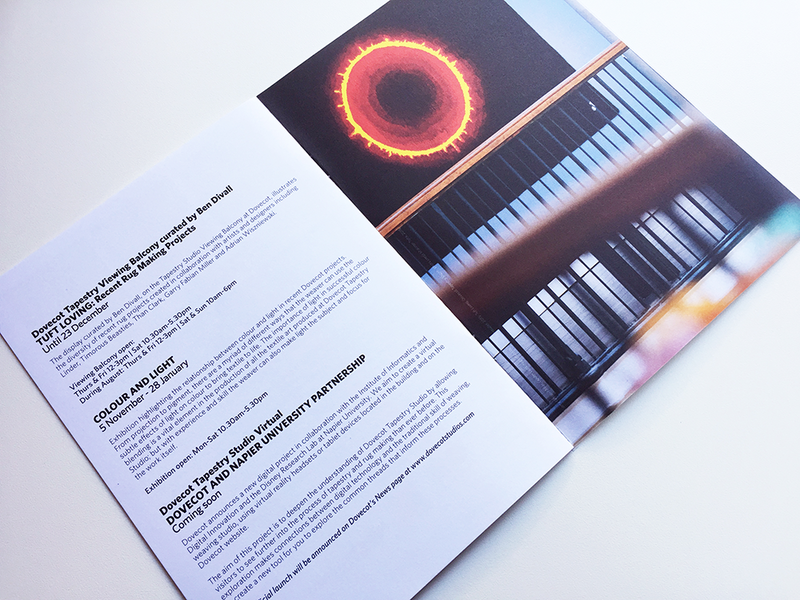 Platform: 2016 runs from 28 July – 28 August and can be found at the Festival Kiosk, 9-11 Blair Street, Edinburgh EH1 1QR. 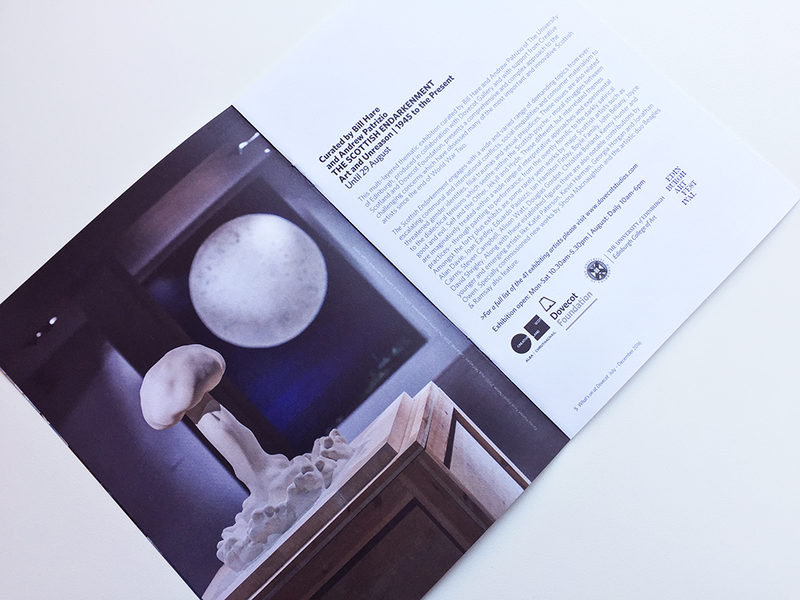 Here's the proof of the cover, featuring an ‘eraser drawing’ by Jonathan Owen, which, I think, perfectly encapsulates the themes running through the commissions programme. 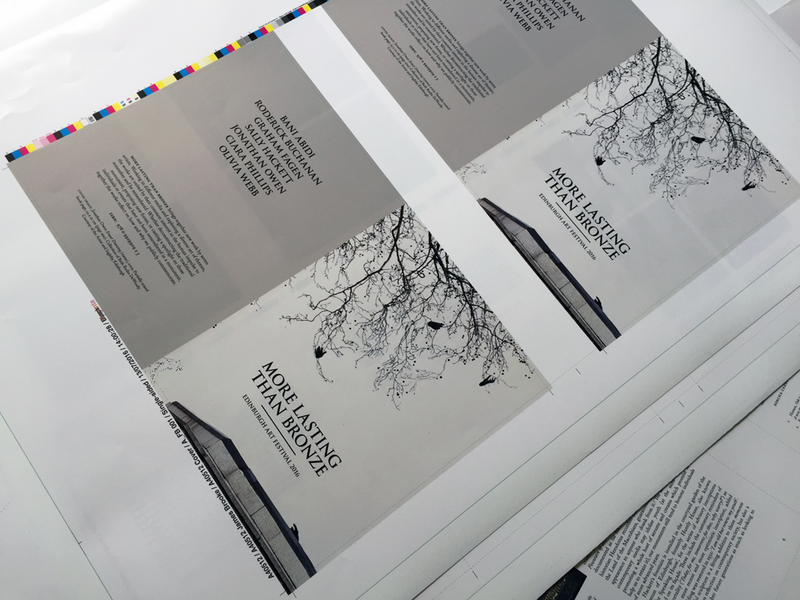 The book is currently at the printers; I am looking forward to seeing the finished result, which should be ready for the opening of the Art Festival on 28 July. Fingers crossed! 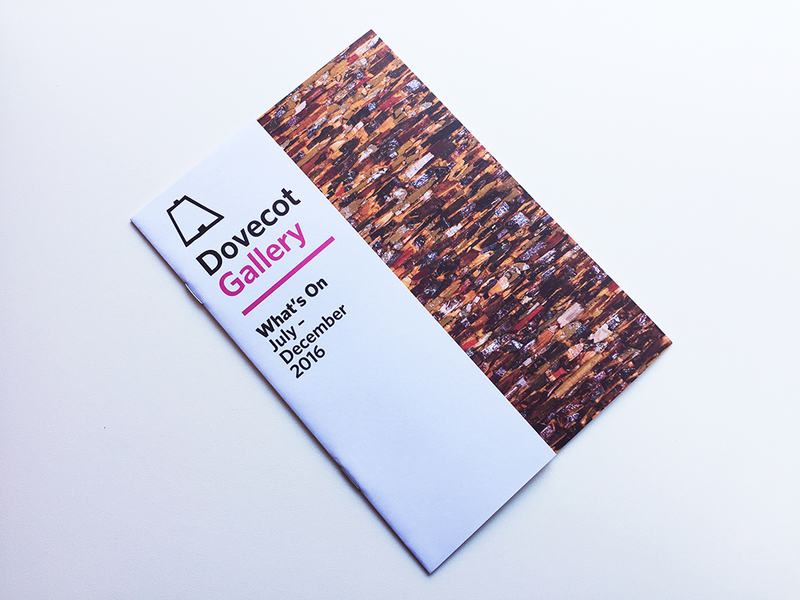 This is the third edition of the Dovecot Gallery What's On Guide that I have designed. 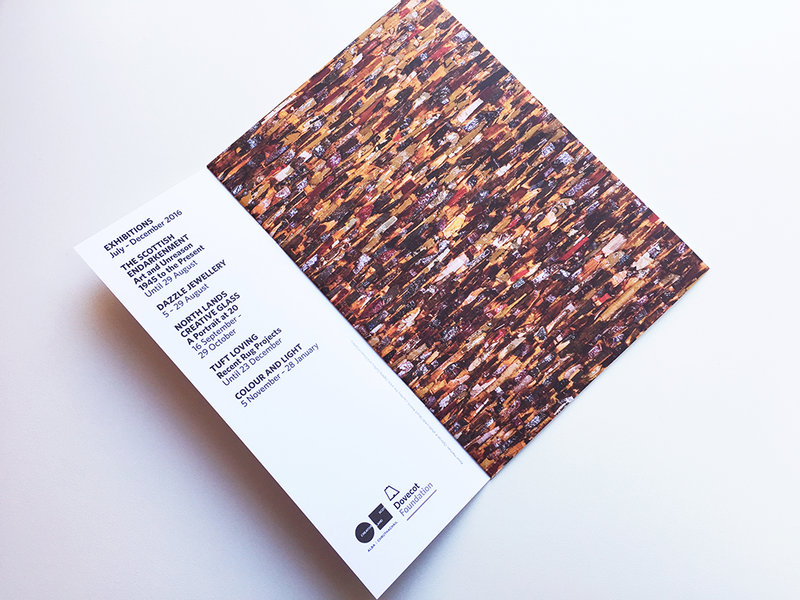 The guide is twelve pages with a half cover that reveals half of a full bleed image of a detail from a work, Optician 4, by the artist Kevin Harman that was included in Dovecot's The Scottish Endarkenment exhibition. 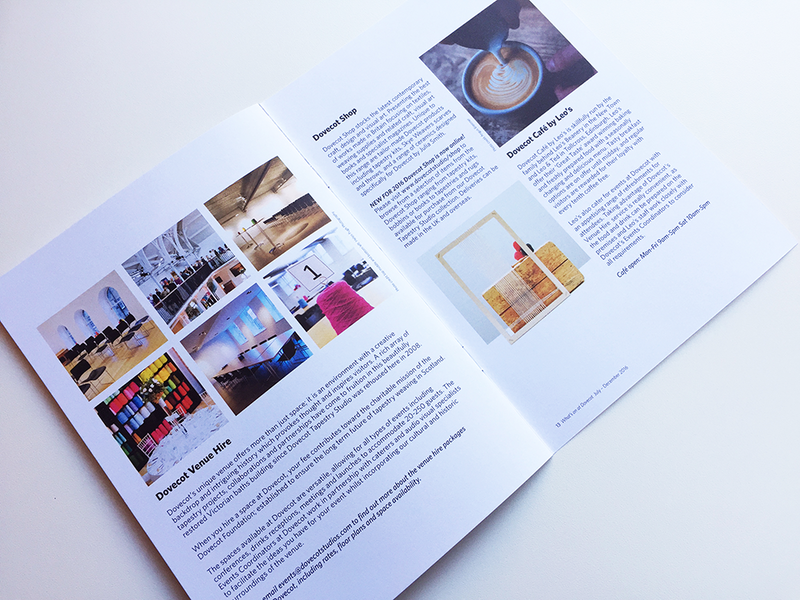 As with previous guides, full-bleed images are used throughout in contrast with pages of pared back typography printed on the clean white of Vision Superior, an uncoated paper that has a pleasant tactility. 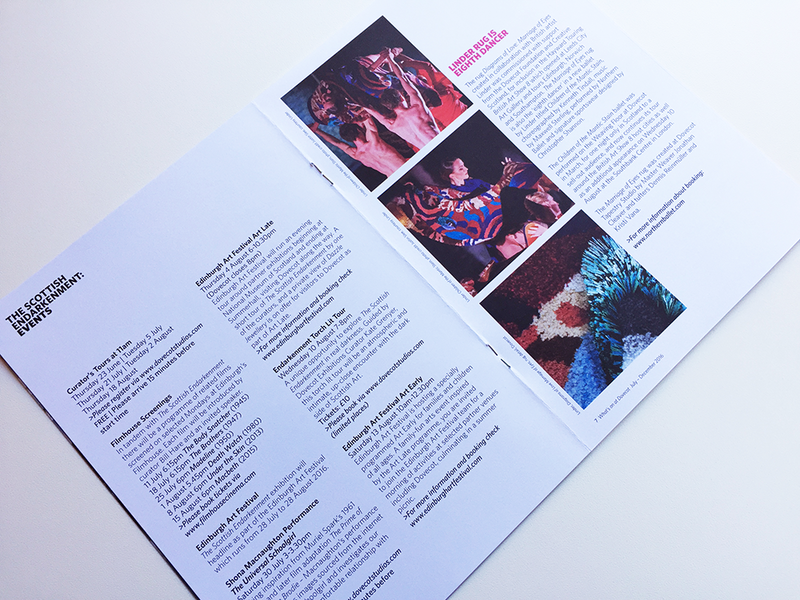 The format and template remain the same as the previous editions but is always tweaked to accommodate new types of information, in this case, a news section detailing Dovecot's creation of a rug for the artist Linder that became the 'eighth dancer' in a new ballet titled Children of the Mantic Stain, choreographed by Kenneth Tindall, with music by Maxwell Sterling, performed by Northern Ballet with signature sportswear designed by Christopher Shannon. 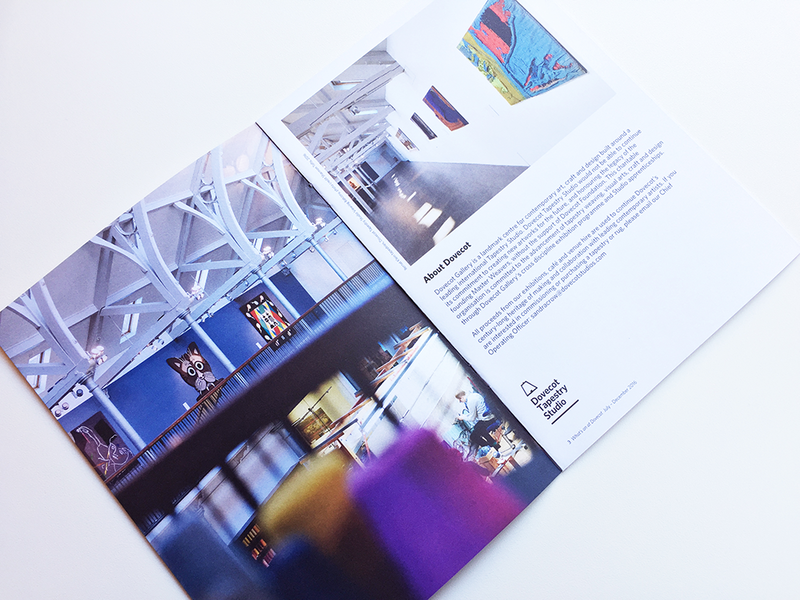 The ballet was performed at Dovecot as part of the Hayward touring exhibition British Art Show 8.